Australia’s iconic koala, its very existence imperilled by disease, bushfires, car strikes, and dog attacks, faces a more hopeful future thanks to scientists cracking its genetic code, a study said Monday. 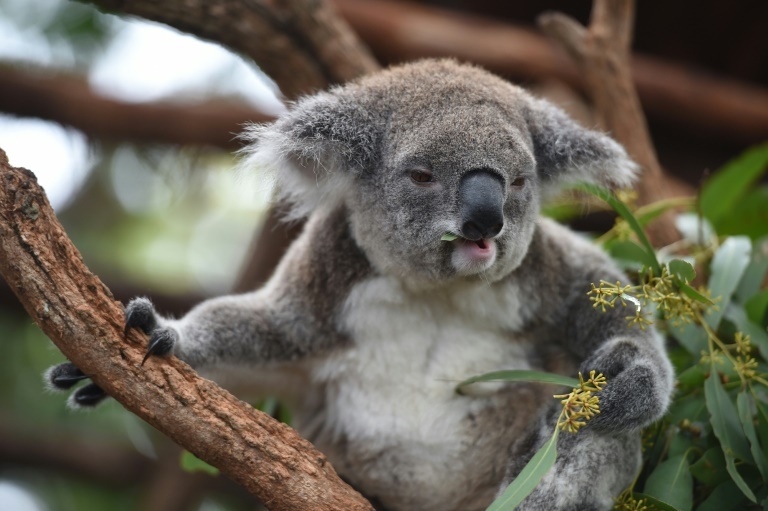 A mammoth effort by more than 50 researchers in seven countries uncovered 26,558 koala genes, yielding vital DNA clues for vaccines against diseases such as sexually transmitted chlamydia, which blinds the cuddly critters and leaves them infertile. “The genome has allowed us to understand the koala immune genes in detail for the first time,” said Rebecca Johnson of the Australian Museum Research Institute, a co-author of the study published in Nature Genetics. “These genes (are) directly contributing to vaccines for koalas,” she told AFP. The DNA code should also boost koala breeding programmes. It revealed that inbreeding was higher among koalas from Victoria and South Australia than among their cousins from Queensland and New South Wales. The discovery “allows us to make recommendations for how to preserve the populations with high genetic diversity and how animals might be translocated to improve the diversity of inbred populations,” Johnson said. From between 15 and 20 species some 30 to 40 million years ago, a single species of koala survives in Australia today — some 330,000 individuals in all, most living in protected areas. As few as 43,000 may be left in the wild, down from an estimated 10 million koalas before Europeans began settling Down Under in around 1788. Koala numbers were decimated partly by a thriving pelt trade from the 1870s to the late 1920s. The International Union for Conservation of Nature qualifies the koala’s protection status as “vulnerable”. Koalas are marsupials — mammals which raise their young in a tummy pouch. Their unusual diet consists mainly of eucalyptus leaves, which would be toxic for most animals and are low in calories, meaning the fluffy “bears” have to eat lots and rest often. The new study identified genes responsible for liver detoxification that likely permitted koalas to become such dietary specialists, thus avoiding competition for food with other animals. Unfortunately, their pickiness now adds to the survival pressure, with eucalyptus trees cleared for farmland or to build cities. Global warming, experts say, will further raise the risk of devastating forest fires and tree death. The koala genome is the most complete yet sequenced for any marsupial, of which there are about 300 species, the researchers said.